Capitol Hill negotiators are expressing cautious optimism as the deadline approaches for reaching an agreement on border security before federal funding runs out for some departments again, on Feb. 15. 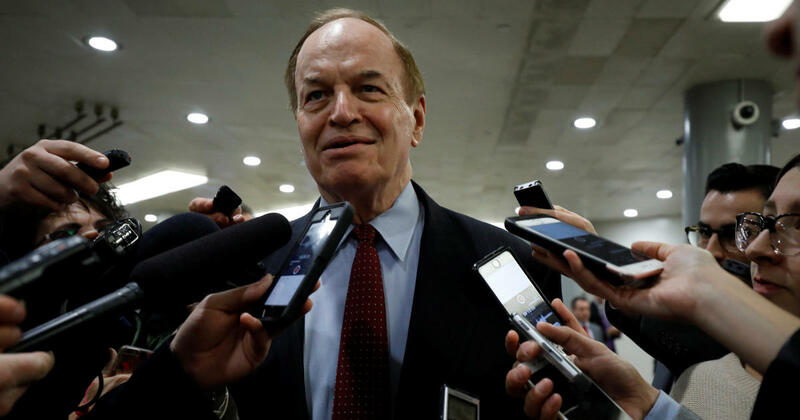 Republican Sen. Richard Shelby told reporters he thinks the trajectory for negotiations is “very positive,” after meeting with President Trump at the White House Thursday, and the “next 72 hours are very crucial” moving forward. Shelby said he thinks that if the bipartisan, bicameral group works out a deal in the “context” he spoke with Mr. Trump about Thursday, he thinks Mr. Trump “would sign it.” The president hasn’t telegraphed what exactly he will sign off on, although he has insisted he needs funding for a border wall or fence at the barrier. Rep. Lucille Roybal-Allard, one of the Democratic negotiators, expressed more openness to compromise than many Democrats have in the past regarding a border barrier, conceding that it’s “unrealistic” for Democrats to expect to give no funding for physical barriers along the southern border. “Like in any negotiation, if the Republicans and the White House are saying they need barriers, a wall, whatever you want to call it and that is an absolute objective, and we’re saying we want some other things like in anything else it’s a tradeoff. So that’s all I can tell you. We’re negotiating,” she said. She isn’t the only Democrat to suggest openness to funding for some physical structure at the border. In a press conference with other Democrats earlier this week, Rep. Hakeem Jeffries, who is not on the negotiating team, suggested there could be support for “enhanced fencing” at the border. Roybal-Allard, who hadn’t spoken to Shelby Thursday afternoon since he returned from the White House, said the puzzle hasn’t been put together yet — but they’re working on it. The committee, Roybal-Allard noted, is trying to avoid doing another short-term continuing resolution. If the group can reach an agreement Saturday or Sunday, that would still allow for enough time to write the language of the bill in time for the Feb. 15 deadline, she said. Shelby said he still hopes to reach a legislative solution to the border issue, after Mr. Trump has threatened to declare a national emergency if that’s the only way he can fund his border wall.